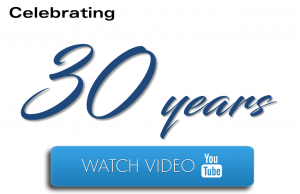 Elite Celebrates 30 Years of Construction Excellence – Elite Construction Inc.
Elite Construction Inc. (“Elite”) is pleased to announce that 2017 marks its’ 30th year anniversary of delivering construction excellence in the Southern Ontario institutional, commercial and industrial marketplace. Established in 1987, Elite has grown from a modest construction operation in York Region into an integrated regional construction firm located in Vaughan. Over the past three decades, Elite has evolved from a boutique size company providing tenant improvements to a firm that offers a full complement of professional services including but not limited to general contracting, design-build, construction management and project management. The cornerstone to our success is our approach to building strong relationships with our clients, consultants, staff, sub-trades and providing exceptional customer service. With our guiding principles of Organization, Commitment and Execution, and capitalizing on our collective expertise and commitment to excellence, Elite has experienced tremendous growth in the healthcare, education and public work sectors. As a result, our growth and success is due in large part to our commitment of delivering our projects safely, on schedule and on budget. The Elite Team is grateful and delighted to celebrate 30 years of quality construction services while contributing to the diverse landscape of significant infrastructure across Southern Ontario with key projects such as Fleming College’s Kawartha Trades and Technology Centre, Peel Region’s Administration & Reporting Station, Active Response Bay and Data Centre and the West Don Lands Revitalization Project. On behalf of Enrico Lisi, President and Founder, the Elite Management Team thanks our highly-skilled and dedicated employees, sub-trades, industry associates and most importantly, our clients and partners, for helping us achieve this this milestone.